Since 1987 Reldale Limited has operated from its workshop in central Northampton where it offers a range of special purpose machine and equipment design and manufacturing services where customers individual specifications can be quickly and expertly handled.Reldale also manufactures and sells its own highly innovative and flexible computerised mount board cutting machine, the Cut Mat III for the graphic arts industry. We offer a fast, friendly and reliable service and would be happy to take enquiries for most kinds of general precision engineering work as well as more specialised services. The best way to get in touch is either by telephone, fax or e-mail – our full contact details can be found on our Contact page. 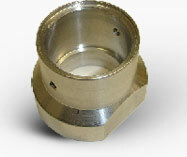 Precision engineers, special purpose machine design & manufacture based in Northampton, England.